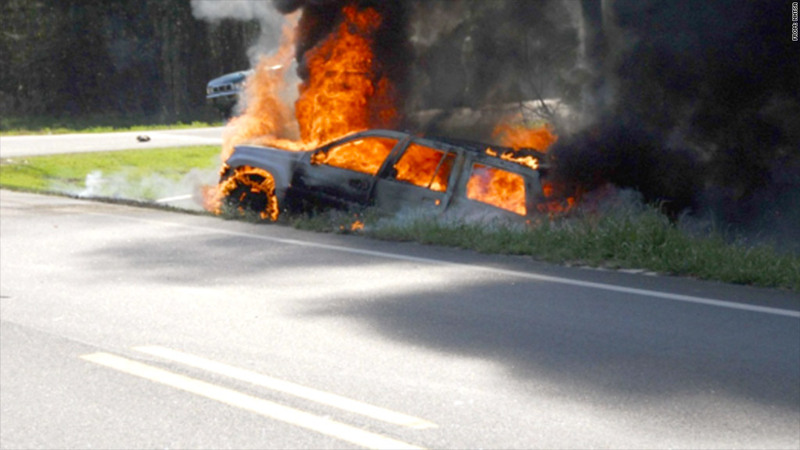 A fatal fire involving a 1999 Jeep Grand Cherokee that was struck by a pick-up truck, according to NHTSA. In a rare rebuff of the U.S. government, Chrysler Group is refusing a National Highway Traffic Safety Administration request for a recall of 2.7 million SUVs. The government agency says the gas tank design used in 1993 to 2004 Jeep Grand Cherokees and 2002 to 2007 Jeep Libertys is unsafe. It is the first time since 1996 that an automaker has fully challenged a recall demand from the safety agency. That case, also involving Chrysler, was over the seat belt system on 91,000 cars. Chrysler -- which was an independent U.S. company at the time -- won a federal court decision on that dispute two years later. Chrysler -- now controlled by the Italian carmaker Fiat after the 2009 U.S. government-sponsored bailout -- said it has been working with the agency over concerns over the vehicles in the current dispute since 2010. Chrysler says that the design of the gas tank cited by NHTSA -- placed behind the rear axle -- is a commonly accepted design used in many other vehicles. It also says that the fatal accidents that occurred involving the vehicles were almost all high-speed, high-energy accidents in which a different design would have made no difference. "We believe NHTSA's initial conclusions are based on an incomplete analysis of the underlying data, and we are committed to continue working with the agency to resolve this disagreement," said the automaker's statement. It said it typically conducts recalls before it receives any notices from the safety agency. Since it started the recall process in 1966, NHTSA said it has been involved in 17,000 separate recalls involving about 500 million vehicles. "The driving public should know that NHTSA is actively investigating this issue and is requesting that Chrysler initiate a safety recall and notify all affected owners of the defect," NHTSA Administrator David Strickland said in a statement. "NHTSA hopes that Chrysler will reconsider its position and take action to protect its customers and the driving public." Chrysler said that the center's figures greatly overstate the number of deaths caused by rear-end crashes and fires, and it even disputes the lower estimates from NHTSA of at least 37 accidents that caused fires and resulted in at least 51 deaths. Clarence Ditlow, the Center for Auto Safety's executive director, has asked Chrysler to recall those model year Grand Cherokees on its own, and has also written to NHTSA asking the agency to order a recall. "The only way to prevent more fire deaths is for NHTSA to order a mandatory safety recall and require Chrysler to design an effective remedy," said Ditlow in his letter to NHTSA. Even Ditlow's own letter to Chrysler CEO Sergio Marchionne says that the current versions of the Cherokee and Liberty have a redesigned gas tank that does not pose the same risk. While neither Chrysler nor NHTSA would give an estimated cost of a recall, the Center for Auto Safety estimated it would cost Chrysler no more than $300 million to install a 3 millimeter steel skid, a fuel tank check valve and better fuel filler hose and address the problem. Michelle Krebs, senior analyst for Edmunds.com, said Chrysler is taking a risk by taking on the NTHSA, even if it is eventually proven to be right. "Yes, it costs a lot of money to fix and it's a lot of vehicles," Krebs said. "But it can cost a lot of money in terms of future sales if it backfires." She points out that a recall problem helped knock Toyota Motor (TM) out of its position as the world's top automaker. "A company like Toyota can bounce back. Can Chrysler bounce back with its already fragile reputation on quality?" she said. "It's damned if you do, damned if you don't." Chrysler says that there are many models of other automakers with far higher fatality rates, and that the incidents cited by the agency "occur less than once for every million years of vehicle operation." "NHTSA seems to be holding Chrysler Group to a new standard for fuel tank integrity that does not exist now and did not exist when the Jeep vehicles were manufactured," said the company. 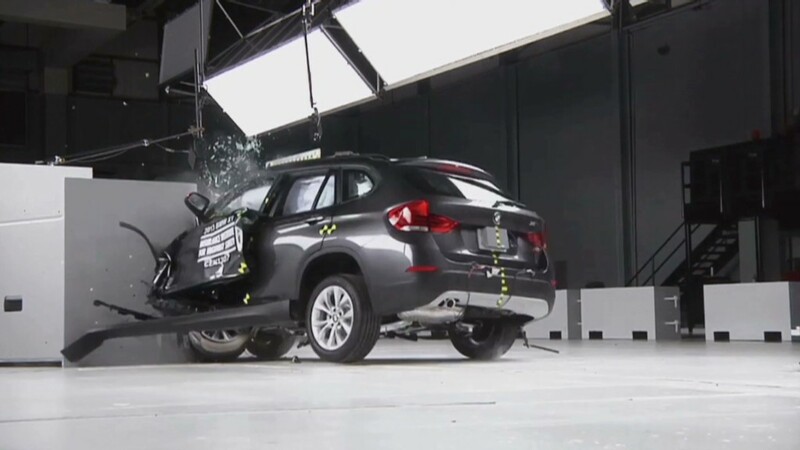 But the Center for Auto Safety said the risk of fire for a Grand Cherokee in the model years in question is more than 20 times greater than the risk in a comparable Ford Explorer. NHTSA's letter to Chrysler said the vehicles in the recall request perform poorly in regard to fatalities, fires without fatalities, and fuel leaks when compared to all but one similar vehicle.